Comedy isn’t a career ladies are known for, but that doesn’t mean there aren’t ladies making waves in it. 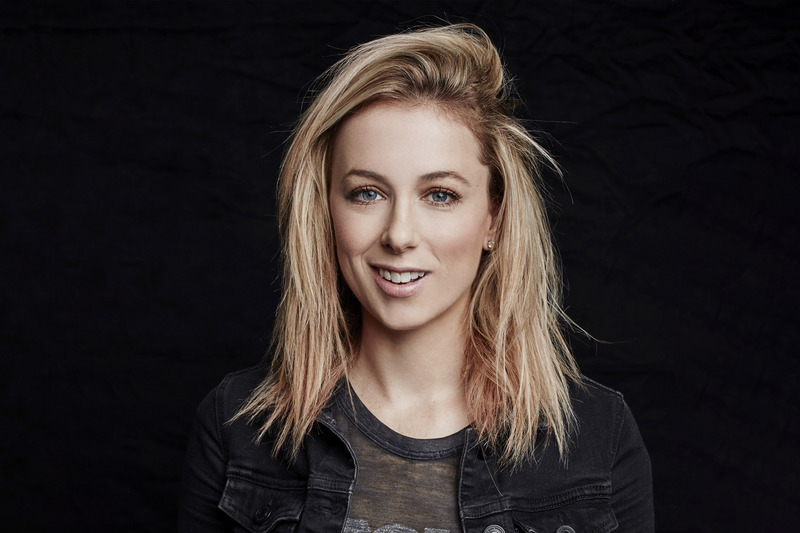 Iliza Shlesinger is not just charting a career path from making people laugh, it is what she was born to do and she is doing an excellent job at it. The pretty comedian discovered her passion and went ahead to make a career out of it. She has achieved what most persons who had been there before her weren’t able to achieve. Iliza didn’t just stop at standup comedy; she is also an informant, writer, presenter, and actress. She has been seen in films, radio and television shows. Iliza Vie Shlesinger, born on February 22, 1983, in Manhattan, New York, comes from a Jewish home. Despite being born in New York, she was raised in Dallas, Texas, and has a younger brother and two half-siblings. She was a part of an improvisational team while in high school – Greenhill School. For college, she began at the University of Kansas, before transferring to Emerson College in Boston after her freshman year. While at Kansas, Shlesinger performed with Comedy Sportz and was a participant of Semester at Sea. At Emerson, she joined a comedy sketch group – Jimmy’s Travelling All-Stars, where her writing and editing skills were refined while she majored in films academically. Iliza Shlesinger moved to Los Angeles to face her career in comedy after she graduated from college. She joined a group of stand-up comedians known as the Whiteboy Comedy. This boosted her popularity and subsequently earned her a spot at the comedy franchise, The Improv. Her appearances on television include her feature on John Oliver New York’s Stand Up Show, E! Network’s Forbes Celebrity 100, Byron Allen’s Comics Unleashed, and others. Her talents as a comedian came to light when she won a contest by MySpace tagged So You Think You’re Funny. Although it made her the MySpace Girl of the Week on G4 Network, she became more popular when she won the 6th season of NBC’s Last Comic Standing, becoming the youngest and first woman to win the competition. She was also part of the Last Comic Standing Tour. In addition to being a comedian, she is also a TV personality and an actress. Iliza was the host of The Weekly News on TheStream.tv from July 7, 2007, to April 9, 2012. And in 2011, she became the host of Excused, an American reality-based dating competition. She served in this capacity until 2013. In August 2014, the comedian started Truth and Iliza, a podcast that featured her friends and celebrity guests. Her comedy series Forever31 was released on July 13, 2016. Iliza’s other shows include War Paint (2013), Freezing Hot (2015), Confirmed Kills (2016), etc. Iliza Shlesinger has also authored a book titled Girl Logic. It was published in November 2017. This comedian has achieved much for herself and one can say she is living a fulfilled life, doing what she enjoys doing – making people laugh and making a living thereof. More than just making a living, she has made quite a fortune for herself. With an estimated net worth of $1 million as at the time of this writing, we know that this comic entertainer is not just going to hit it big in her career but also in her finances. Is Iliza Shlesinger Married, Who’s Her Husband? The comedian got married to Noah Galuten, a chef, on May 12, 2018. The duo met in July 2016 on a dating site, got engaged in 2017, and headed for the altar the following year. While they were dating, even though her fans knew she was in a relationship, they never got to know the identity of the person as she always referred to him as “Smoky Husky”. Noah Galuten was born on September 21, 1982, in Santa Monica. His father Albhy Galuten is a musician, composer, and songwriter while his mother, Nancy Lyons, is a garden designer. He has a brother named Jason. This beautiful blonde comedian has an hourglass figure which most ladies envy. She maintains her shape by working out and trying as much as she can to keep fit. Iliza Shlesinger is 5 feet 8 inches and weighs 63 kg. It is believed that her bra size is 34C; her dress size is 8 and her shoe size, 7.5.